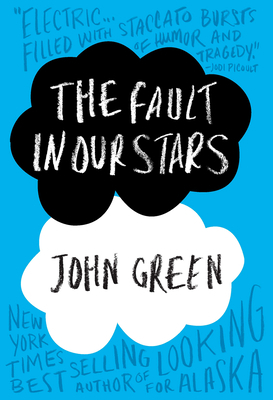 The Fault in Our Stars is brilliant young adult novel by John Green. Hazel is not your typical sixteen year old girl. She is dying from thyroid cancer that has now spread to her lungs. Her parents are encouraging her to go out and meet friends and after protesting Hazel finds herself being dropped off at a support group where she meets Augustus. Before long Hazel and Augustus become quite close and decide they must embark on an incredible adventure, even if it could be their last. This was an amazing read. Green has a nice writing style that is so sophisticated for his genre. It was easy to fall in love with Hazel and Gus who are unique characters. They are incredibly witty and profound as they come to terms with their terminal diseases and the grief they are going to cause. Green did a remarkable job of showing the inner monologue of someone battling cancer. The characters emotions were so realistic that it felt like you were listening to or reading a friend’s diary. You were either laughing out loud or tearing up as you read, so be prepared for a roller coaster of emotions that will have you completely engaged with the book. This is a young adult novel, but any adult would find this book to be a great read and perfect for your next book club.